Peel Scape Solutions is your one stop option for professionally designed reticulation systems and landscaping. Trust the landscaping experts to create a waterwise haven for you and your family to enjoy for many years to come. One of the most knowledgeable teams in the Peel region, we can help you from start to finish with your project, from computer enhanced designs and plans to the final finishing touches. 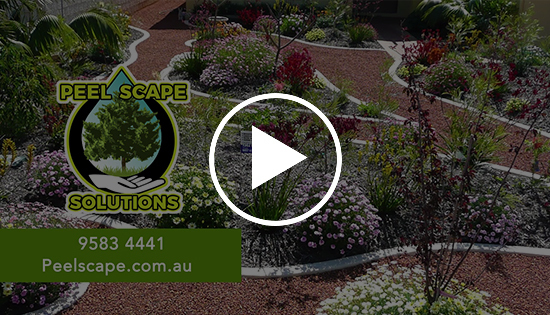 Peel Scape Solutions is a locally owned and operated company based in Mandurah, specialising in the design and installation of quality waterwise reticulation systems and landscaping. We work primarily in the areas south of Perth, providing waterwise reticulation and landscaping solutions for individuals, local shires, property development companies, builders, insurance companies, real estate agents and strata management companies. Our friendly and courteous team are experienced in both residential and commercial reticulation installations and landscaping, large and small, and we pride ourselves on the quality of the finished product and customer satisfaction.